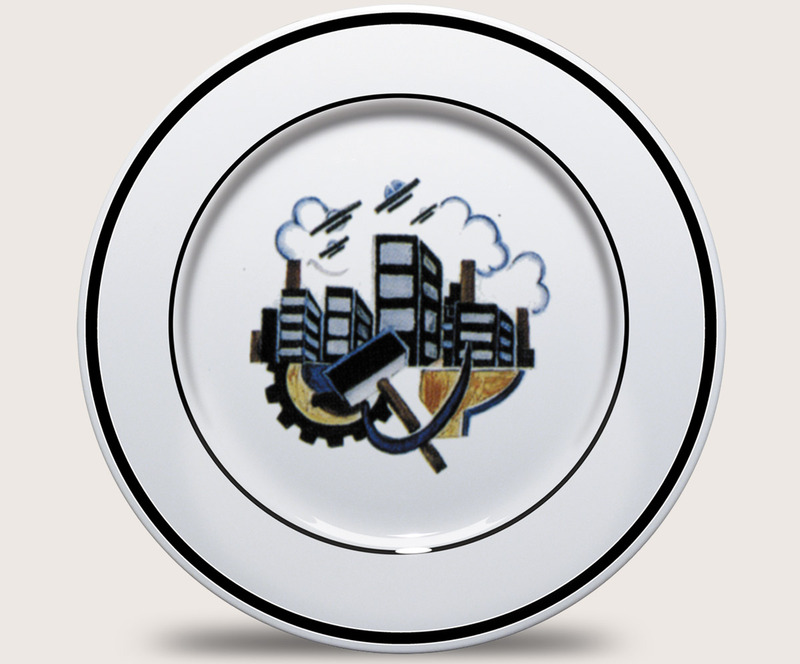 Our plates are Royal Doulton China, made in the Potteries, England. Based on a Soviet design of the Russian Revolution peroiod, a Soviet hammer and sickle with background indusrial landscape. Artist unknown, latter half of 1920s. Individually numbered limited edition of 100. Suitable for display, the plates are also dishwaser proof but we advise hand-washing with warm soapy water.